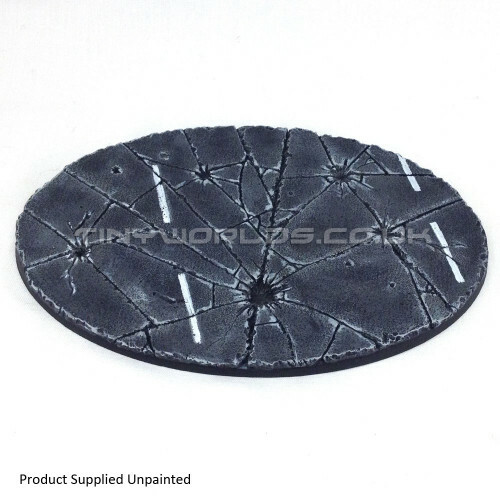 A detailed oval miniature base featuring an urban rubble texture suitable for numerous sci-fi table top wargames . 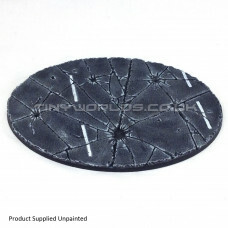 This base measures approximately 75mm x 44mm and is the perfect way to finish off a great miniature for your army. These are the same size supplied with some larger GW kits such as the Imperial Knight.